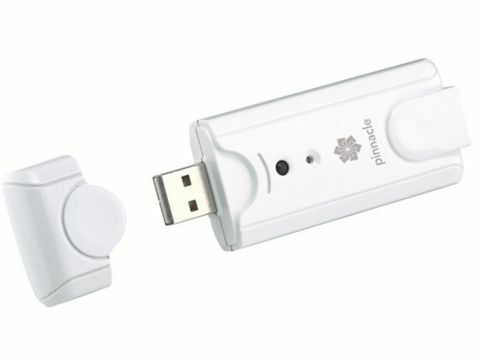 The PCTV USB Stick lives up to its name as it has a simple USB memory key design with a Coaxial TV antenna port on one end. You don't get a USB extension cable in the package, so if you want to distance the tuner and cable from your laptop you'll have to buy one. Given Pinnacle's history as a video editing software company, you won't be surprised to learn the software package is Pinnacle's own MediaCenter application. This is a sizeable application that takes up 160MB of hard drive space and it looks very slick and impressive, but it's not without flaws.